Our mission is to connect local philanthropic organizations with residents in the community who want to help with fundraising, donation drives and by volunteering. 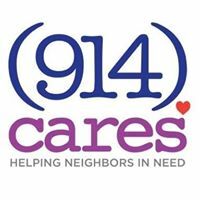 Our goal is to broaden awareness of our neighbors in need and facilitate successful interactions between the community and these organizations. At A Birthday Wish, we believe that every child in foster care deserves to know that their life matters and that they are truly special. 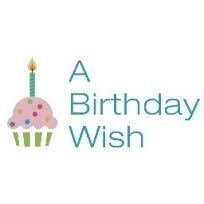 We exist to give children in foster care a birthday gift and card selected specifically for them. In the process, we work to raise awareness about the issues surrounding foster care and advocate for better ways to serve these wonderful children. Through the money we raise and wishes we grant we are able to reach children on their birthday with a message of hope, in celebration of their life. Founded in 1866, the American Society for the Prevention of Cruelty to Animals (ASPCA) was the first humane organization established in the Americas, and today has more than one million supporters throughout North America. The ASPCA’s mission is to provide effective means for the prevention of cruelty to animals throughout the United States. The ASPCA provides local and national leadership in animal-assisted therapy, animal behavior, animal poison control, anti-cruelty, humane education, legislative services, and shelter outreach. The New York City headquarters houses a full-service, accredited animal hospital, adoption center, and mobile clinic outreach program. The Humane Law Enforcement department enforces New York’s animal cruelty laws. Adopt-A-Dog is a recognized 501(c)(3) charitable organization whose mission has been to Save, Socialize and Secure Loving Homes for Unwanted or Abandoned Dogs and Cats. We have been serving the tri-state area and beyond for over three decades. Our shelter is open seven days a week. Our dedicated staff and volunteers strive to provide the best care possible while the animals are at our shelter awaiting safe and permanent homes. Alex’s Lemonade Stand Foundation (ALSF) shares the vision of our founder and creator, Alexandra “Alex” Scott – a cure for all children with cancer. 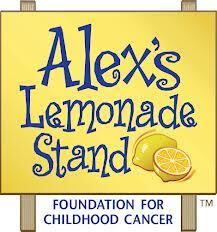 Alex’s Lemonade Stand Foundation was started by her parents in 2005 to continue the work that Alex began. Our mission is simple: to raise money for and awareness of childhood cancer cause – especially research into new treatments and cures – and to encourage and educate others, especially children, to get involved and make a difference for children with cancer. The money we’ve raised has helped us to: fund more than 150 cutting-edge research projects; create a travel program to help support families of children receiving treatment; and develop resources to help people everywhere touched by childhood cancer.